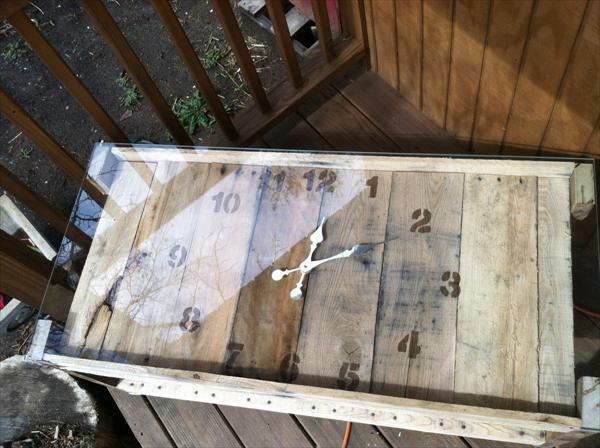 You can do tremendous and never ending works with craft for need and decor of your home. 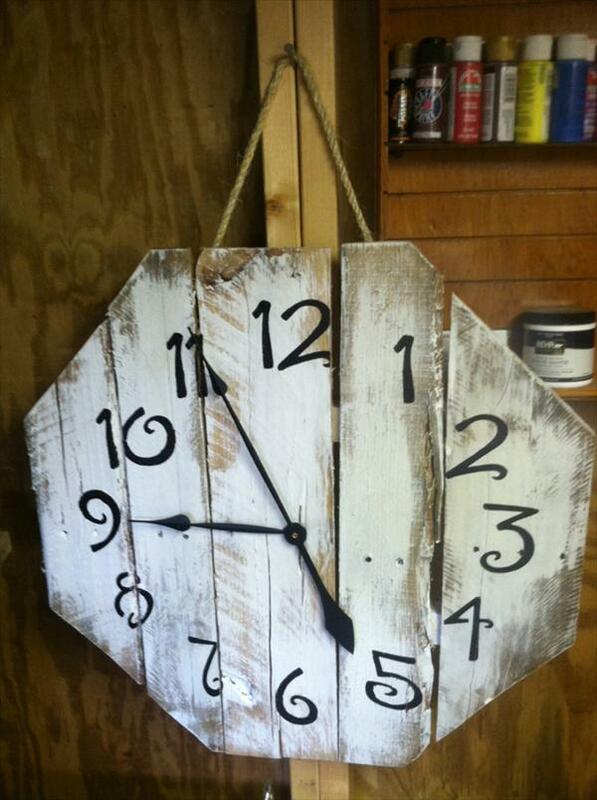 Just go through the brilliant ideas about using pallet as a wall clock, coffee table clock and rope hanging clock. Are not these so beautiful and inspiring to compel you to try this? If it really means a lot to you, then attain your desired pattern and design of clock to have beautiful and impressive time counting in economical way of recycling. You can vary your design according to need and desire of fashion. Choose and layout and cut the pallets in that form with all previous pallet wood operations of sanding, staining and cutting. 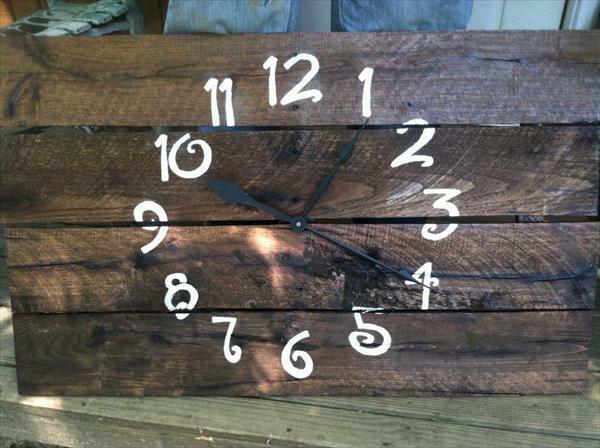 Then add the clock arms arrangements in the mid to have complete model of DIY pallet clock and enjoy more with DIY pallet furniture ideas.